Sue developed a passion for medical research when her only child, Danielle, was diagnosed with Type 1 diabetes in the 1980s. Danielle tragically died from the complications arising from the chronic disease. It was at that point Sue’s lifelong commitment to raise funds for better prevention, treatment and to find a cure for Type 1 diabetes became a dedicated mission. This has subsequently led her to focus on medical research more broadly. 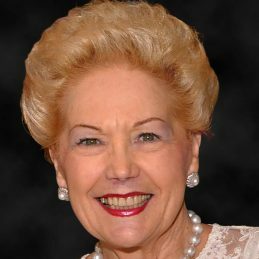 In 1997 she received an AM (Member of the Order of Australia) for her contribution towards the cause of diabetes research. Sue was awarded an AO (Officer of the Order of Australia) on 26 January 2007. This recognised her long and outstanding contribution to major medical research institutions, particularly as a philanthropist, fundraiser and advocate for Type 1 diabetes care and research. On Australia Day 2016, Susan was awarded the Companion of the Order of Australia (AC) Award in recognition for her eminent service to the community, particularly through philanthropic and fundraising support for a range of medical research, education and sporting organisations, as an advocate for improved health care services for the disadvantaged, and to young women as a role model and mentor. Sue is a former President of the Juvenile Diabetes Research Foundation, Chairman of the St Vincent’s Institute of Medical Research Foundation and is Vice President of Western Bulldogs Football Club, in addition to the many other honorary philanthropic positions she holds.